I remember the discussion like it was yesterday. It was in our former 8×10 makeshift training room/office/conference room/lounge with the first trader who ever failed at SMB Capital. JJ announced he was leaving to take a six-figure job at a financial services company in NYC. But let’s be honest. JJ was leaving because he was not making money as a trader. And while he put on an off-to-better-things face, JJ didn’t want to leave. I didn’t sleep well for a month. I felt like his failure was my failure. And I’m sure JJ didn’t sleep well for two months prior to our exit conversation. I still miss having him as a part of our firm. JJ was the most likable guy on our trading desk. But these scenes happen every quarter at even the best of proprietary trading desks, including the big banks. I agree with Charles Kirk from the awesome The Kirk Report that you can become a solid trader if you are willing to put in the time. But many believe their passion is trading, then sit on a trading desk, see the work required to succeed, and are not willing to do the work. The market requires that you become an elite performer. Most people can “punch the clock” at their jobs, do average work, and be appreciated by their employers. Heck, you might even get promoted. Try this as a trader and the market will swallow you like a shark does squid. The best trader on our desk grinds it out daily like a steam pipe fitter. When someone interviews for our desk and asks how long it will take for them to become consistently profitable I answer directly. It depends on the person. But if you’re not prepared to work and struggle (you don’t learn if you don’t struggle) for 6-8 months, honing your craft before you sustain profitability, then I suggest other work. Too many enter our profession without a realistic time frame for becoming profitable. Numbers abound about what the failure rate is. Some say 95 percent. Others claim 80. We had a college student fly across the country to visit us who was writing his college thesis on this very subject. He came in at 90 percent. At a big bank the whisper number is 55 percent. I had dinner last night with a close friend that relayed the head trader at a Tier I investment house was bemoaning the worst part of his job: letting failed traders go. These numbers above include far too many people who should have never tried. There are too many bad-acting firms who promise early riches preying on the monetarily ambitious, who have no passion for trading. These noobs are merely hunting for the next big game in our economy. And these pikers get included in the failure data. The market spits out these miscasts. And so while the failure rate may be high this rate is not relevant to those who deserve an opportunity. Most excellent prop firms screen their new traders carefully. At our firm 95 percent of all who apply never receive an interview. And let me say that there are some who make it inside our doors who, after we’ve learned more about them, never had a chance to become a profitable trader. For even those who are accepted into our training program there will be those who fail. Some classes have 5/6 still trading, others 3/9 (though two quit early and one was fired the first week). The best we can offer to qualified candidates who receive an invitation to train with us is to give them the best chance to succeed. This is the most we can promise! It is the obligation of a proprietary trading firm to offer the very best training possible for new traders. This simply means offering opportunities for traders to develop the intricate skills that will determine their success. The markets have changed substantially since when I began. The old school sit next to a successful trader and learn through osmosis teachings that are outdated and must be replaced by modern training (I will write more about this for SFO Magazine in June). I have the privilege of receiving dozens of emails daily from new traders who detail the training they are receiving from other firms. Most talk of their struggles. Almost always their training is substandard. This is an unfortunately huge factor in why so many fail. A firm must allow you to lose money if you are doing all the things necessary to succeed and improving. Down 50k but working hard and getting better every day is not a reason to cut a trader. Not doing the work demanded by the market and slightly positive or worse, then the firm owes it to all the other traders on the desk to get rid of that underperformer. These noobs hurt morale, drain firm resources, and do not deserve the privilege of trading professionally. To become great at anything requires deliberate practice. If you want to get better at a consolidation play you must practice this trade hundreds of times until you have developed the skills to automatically trade this play in real time. How many three-pointers do you think Kobe shoots everyday? Training that does not stress deep practice is unsatisfactory. For the developing trader just learning simple charting set ups is not enough. This is the great myth held by too many who have never traded real money live. How hard could this trading be? All you have to do is get long when AMZN hits 116 and kick it out at 130. This has not been my experience with the market. And it is great that you have learned a new technical set up. Now, how do you trade the fifteen subsets of that trade which the market will demand you learn? Trading is not about learning a simple charting set up and then executing. If you do not agree then go and try it. One day you might crush it and leave the market a self-delusional future star. And then the next few trading sessions you will get stopped out (assuming you honor a daily stop out) and lose much more than that day you crushed it. Such thoughts are like the golfer (hacker?) who drains a fifty-foot put and then believes he is a great putter. If trading were that simple there would be no need for discretionary trading. All trading would be automated. And we all know that automated trading systems fail at a higher rate than discretionary traders. 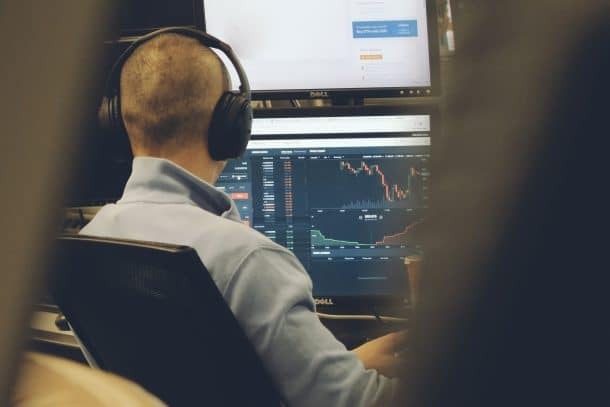 It is about the subsets, the nuances, mastering the different market variables that separates the veteran profitable trader from the noob looking to cash his first paycheck. Too many new traders gravitate towards the simple, which is an unappetizing recipe for failure. Scalping after just learning how to Read the Tape is also insufficient. If you’re at a firm and all they teach is to follow the order flow I offer this advice: RUN! Run from that firm as fast and as far as you can. Also, trading without a grasp of intraday fundamentals will be penalized by Mother Market. Look, you must learn technical analysis, how to Read the Tape, and understand intraday fundamentals to succeed as an intraday trader. All of this takes concerted practice over time until you develop the skills necessary to consistently take money out of the market. Trading is a performance-based business. After the Close yesterday Steve and I reviewed our trading in QCOM on the Open and AMZN in the After Hours. I have traded my own money for twelve years. I missed a QCOM short for size and an easy multiple point down move by a millisecond yesterday. This is not acceptable (though I eventually put together a decent day). It was my fault for missing that trade. Too many new traders miss these trades and never obsess about not missing the next one. It is always someone else’s fault. If only I sat next to that trader. If I just had a better charting package. If only that girl I was seeing wasn’t so needy. That is all bull $hit. You determine your destiny as a trader. It is up to you to perform. I didn’t miss that trade in QCOM because I was patrolling our risk monitor (which I was) watching the work of a new trader. I missed that trade because I missed that trade! And too few ever develop this mentality to survive as a professional trader. A group of college students from Texas A&M visited us recently and I will share what we discussed. I graduated from law school with a safe job awaiting. I just couldn’t do it. To me I felt like I would be selling out. If you have a passion for something, then go learn if you possess a talent for it as well. But have a Plan B. You will become great at that which you have a passion and engage in deliberate practice for and rewards your talents. This could very well be trading. But maybe not. To me trading is the greatest job in the world. Every day is new. I sit around bright, talented, ambitious, well-educated, market followers quick to crack a joke and smile. If you become successful your upside is unlimited. When I used to just trade, Steve and I vacationed and went wherever we wanted. There were very few boundaries to our world. Trading is stimulating. It requires you to find the best inside of you. The best decision I ever made was shunning a career not a fit for me to trade. 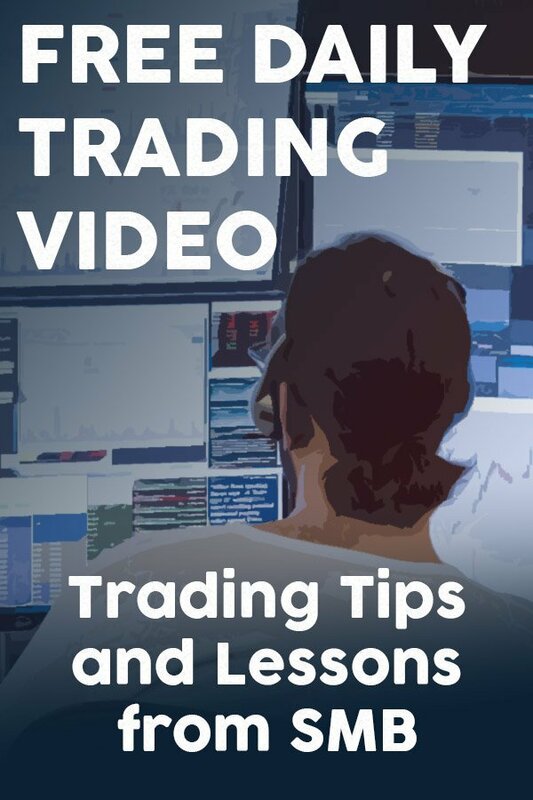 If trading is your passion, you possess the ability to survive the learning curve, are willing to engage in deliberate practice to develop trading skills, have a history of success, and a Plan B, then you should consider trading. And you need not be an Ivy League graduate to become a great trader. And the market does not care if you have family connections while executing trades. Nor must you work at a big bank or live in NYC. But please find a firm that will provide you with the tools and education necessary to succeed. And understand that those who make it have developed their trading skills through deliberate practice, work that many are unwilling to do. If you have taken this path and wish to ask me a trading question, please feel free to reach out to me. You can be better tomorrow than you are today! One of your best posts Bella. Great reading for a saturday afternoon down in Sydney. If only these sorts of topics/truths were covered at university. I have learnt more via ‘free’ online sources over the last few years, than any university papers on finance/trading/business could have ever taught me in regards to the world of trading. 1. As far as I know trading is a zero-sum game. So, how do you think the failure rate coud decrease significantly? This game is balanced. If the failure rate will be 50%, these 50% would have to provide the other half with all the necessary profits in order to succeed. Do you think this could work? 2. TNext question regards the intraday fundamentals. You trade stocks in play mostly meaning significant news moves the stock. But if you watch the order flow and know your levels and chart formations, what does intraday fundamentals mean? Knowing when they announce the news and what will be expected? Hearing conference calls? Do you think a trader on your desk should read the news, compare it to the general expectation and then go and trade with a bias? Thank you for such an interesting article. You should think about coaching high school football…your halftime speaches would yield some awesome results. I’m 43, father of three and happily married. I’m trying to create/work my way to greatly improve my household income, and become an expert at something worthwhile, what would you do? How would you do it? I’m at an age where I can’t move to NYC to join a first class organization such as SMB. However I would love to quietly but consistently grow in my ability to trade successfully….with the hope that some day I can leave the realitive easy/unchallenging corporate world. Thanks for your time and your firms Blogs, which I ready daily. Great post! I can’t wait until you book comes out. Keep us posted when it is available for purchase. Thxs for reading. One Good Trade: Inside the Highly Competitive World of Proprietary Trading will be out in August. I remember some time last year you spoke about traders needing to do 10x to get x on SMB University. After a year in this business and still struggling I realize that you really need to do 100x or 1000x to get x. To succeed as a intraday trader you really need to be on your game and working on your game 24/7. And its not anyone’s fault that the aglos are so good or that your stock ripped 3 points after your bid just got cut by a penny . The reality of it is that its a war to take money out of the market and those who take it lightly are bound to get a shot to the face. I have been on a prop desk for 6 months and put in countless hours of work after hours. I have seen glimpses of successful trading but then I am always humbled by mother market. Trading is a war of attrition. I can only work harder to be a better trader, one good trade at a time. Thanks for the post Mike, they always put things into perception for me. So far one of the best articles ever, very encourage for those who are looking forward to become traders and also for those who are not qualify to be a trader. Bella, great article….. Cant wait for your book to come out. I just have one question. I am a first-year college student at UCLA right now. I know my future is in trading. I love trading so much I passed up the opportunity to dorm at school so I can trade at home. I currently trade 3X a week. MY goal right now is NOT to make tons of money but it is to learn the market so I can prepare myself for the future. My question is: Since I live in Los Angeles, there are not many prop firms that I know of. Do you know of any reputable prop firms/financial institutions in LA that would be a good place to start my official trading career? Good read and sound advice. If anything it is understated. I think it takes years to become a great trader, and the learning never stops, if for no other reason than market conditions constantly change for new variable sets, which have a dramatic effect on how the markets trade relative to the changes to sentiment at that time. Sure, the TA examples in all those books look great, but almost all fail the greater majority of the time even if sound in principle (many are not) because what fundamentally is driving the shifts in market sentiment is changing all the time. When you trade you go to war. You want my money, I want yours. You better to be good. If you are not willing live and breath trading, you will not make the grade, because all great traders are quite willing to do whatever it takes. You will lose money, no matter how smart you are or where you went to school. Trading is a grind. You have to be willing to work 10-12 days, plus a lot of time on weekends. You have to have a good self image, be in good shape physically and mentally and be the person that wakes up every day (well almost) feeling optimistic and raring to go. And regardless of your temperament coming into each day, you must have the discipline to trade, not fear losing, as well as not fear missing a trade and never lose focus regardless of what happens that day or happened yesterday. Know losses are part of the game. No one make money every day, every week and very, very few every month. That is reality. I think legendary trader Paul Tudor Jones summed it up succinctly and accurately. I good trader has annual returns at least twice his annual draw down. Good benchmark that incorporates the soundness of your methodology a well as your risk management. All this is very nice and wise but what would be even better is a track record. As a former option floor trader (for 20 years),I would like to make the following suggestions First pick a specific niche to specialize.Second become obsessed with risk. Great post, Bella…one of the best I’ve read in the space of an article. Look forward to your book! Great piece. The only fault I could find with it was that it was too short, but that’s only because I could have gone on reading it forever. Really good post Bella, very blunt and honest. While probably near impossible to calculate, I would love to know the failure rate for passionate traders truly dedicated to getting better. Like you said, a large subset of failed traders are the same who chase real estate, pyramid schemes, and god knows what get rich quick money making scheme is next. Ultimately, I don’t know that even hard work is enough, you need to have a passion for this in order to last long term. Can’t wait for your book. Please send me an email with your question above when you get a chance. Please send me an email at [email protected]. Intraday Fundamentals is the study of patterns that develop based on news that is released. An experienced intraday trader will get a feel for how much a stock can move based upon the new released. Mike: This is a wonderful thread. Thank you for the post. Solid article which I largely agree with except for the above. With all due respect, what makes you think automated trading is simple? All the computer does is make the execution quicker. There are more funds trading automated than discretionary these days. Rennaisance/SAC/AQR hardly seem to be struggling. Thank you for this. I am now addicted to your site. I also just bought your book. Thanks so much for taking the time to write this quality piece. It’s been enlightening and helpful. How much annual returns on their trading do good proprietory traders make? ask him to buy or sell and investors could not take advantage. Vegas. You always hear about stock trading is probably one of the homework being a stock trader. If you can’t stomach losing $1,000,000.00 of real money and all its implications. That is if you can’t stand the thought of losing your life, all your comforts and able to get up and win no matter what, how far you have to go, how long the hours are you have to struggle yet stay focused, objective , free of emotions (as much as possible) know when to let the trade take place, give it room based on your assessment and past experience of market behavior and withstand the worse humiliation of your life then maybe you do not have what it takes to earn a living as a professional trader. Every single time I trade I go at it as if I am going into battle. I train, I prepare, I make sure I have the tools I need, I keep my tools shape and in good working order. I review all the knowledge, techniques, methods, systems, lessons both technical and psychological and most of all I prepare myself to withstand the effects of losing. Don’t over react when you are losing and the market is going against your position but act on it as if the contrary was your position and manage that. You have to handle a losing position the same as if you were handling a winning position. Many traders go at it with a wait and see attitude. You are in mortal combat with a giant bear, a very dangerous fire breathing dragon, unimaginably skillful and intelligent but that is not the half of it. The Market had the great ability to transform faster than you can bat you eyes, faster than you can reach for the clicker on your mouse and get out of a trade. Your eyes are fast enough to see what is transpiring but you will find the market can disappear, move shockingly faster than you can keep up with it. Lose your money leaving you with nothing you can do about it. Money management, the use of stop loss will not always save you but it is suicide to trade without protection. Learn to use every type of order there is especially limit and stop orders, trailing stops, OCO, just all the order types, they are tools of your trade, tools of your chosen profession. The problem is that not every trader has the attitude that they are truly a professional. Not all do their very best. Not all practice and practice and practice and horn their skill. Trading is a mental, psychological, and Physical exercise. You must be in good mental and physical condition. I laugh at the so called gurus that lure people into buying their methods, following them with promises of trading 15 minutes a day with assurance of being successful. I am sure that if it wasn’t for all the laws and regulations in place that prevent anyone from luring someone with assurances of not losing and promises of no risk trading these so called gurus would actually guarantee people they would not lose. I do not know a trader alive that does not lose. You just have to develop your skill and knowledge of the market to win more than you lose. In the past 6 months I think there were two day when I did not lose a single trade but other than that for as long as I can remember I have lost on most days as well as won trades including suffering a seemingly unending losing streak, more than once. The secret to handling a losing streak is having good money management skills and techniques in place. There are times when you barely survive trading the markets and there are also the occasional times when the market just seems to bless you and gift you all you could ever want. However the market is a fickle master and will squash you just as it will uplift you with no preference. It simple does what is does just because it can. The one thing I find most detrimental to traders in not being able to shift positions, not knowing when to add to their position or close controls in. You will learn that the market will do unimaginable things so you cannot trade with a complacent attitude. In one split second or less. I mean faster than you can physically react the market will wipe you out, shew you up and no, the market does not care enough about you to spit you out. My friend in a split moment you will discover you have been turned into nothing more significant than road kill. You can be stunned, weakened, drained, humiliated, washed up but there is a difference between those that handle that experience, learn, and move on to succeed and those that just can’t get over it. There is no job that requires you to live in the moment more than trading for a living. The moment is all you will ever have but you do have to get good at having consistently good moments. You have to have an inborn timing. If you can act and react faster than you can think, if you can develop the necessary and effective instincts to know when to get in , get out, wait on the side lines, and when to go for it betting all the marbles with courage, conviction, and confidence and still be right, then you have a chance. Trading is not a job the kind you can do by punching in the clock, do so so and still get paid and even promoted. Trading is for the very best. There is no mediocre trader like there are welders who can weld without learning how to read blueprints. No trader can be like an electrician who can survive by only knowing residential wiring methods but do not know all there is to know about commercial installations and codes. You must do trading with a passion and devotion, its a skill, an entire field of knowledge, most of it unwritten, you cannot truly learn it by reading about it. It is something you have to do actively and be subjected to suffering the consequences of not doing it right. Trading is not like boxing where you can sustain hundreds of punches but not a knock out punch. Trading will only deliver you hard, punishing, painful knockout style punches, each one very very painful to endure if you are on the wrong side of a trade. oddly I find trading a spiritual event in which you are enlightened, elevated, evolved when you win but when you lose your mind will be destroyed, you spirit deflated, your emotions ravaged, your confidence squashed. By the time you fully realize what has happened the market has moved on very unapologetically, unaware and completely void of any acknowledgement of your existence. More than knowing methods, systems, techniques you must get to know the market, its quirks, its habits, its characteristics like a hunter gets to know its prey. The market is predicable at times and repetitive. If this was not so there would be no such thing as technical analysis. Technical analysis is nothing more then statistical analysis. To me there is no such a thing as purely technical analysis that is truly effective but what is effective is a combination of technical analysis with fundamental and present market movement, or price movement analysis an observation. Though our days seem to be consistent it has been reported that at times we have been near the center of our universe and at the edge of our universe at other times. The market is the same. It can look very much the same one day as it did many days, months, weeks, or years ago. Just remember it is a living and present thing that is also constantly evolving with the changing global economic condition. The best you can do as a trader is get good at keeping up with it enough of the time even though you will be wrong most of the time. The thing is to make sure that when you are right about it you are actually in the market. It can be like being right about buying a lottery ticket at the moment but not going ahead and buying the ticket then letting the person next to you buy the ticket only to find out it could have been you. What’s all this for. What I am saying I mean? 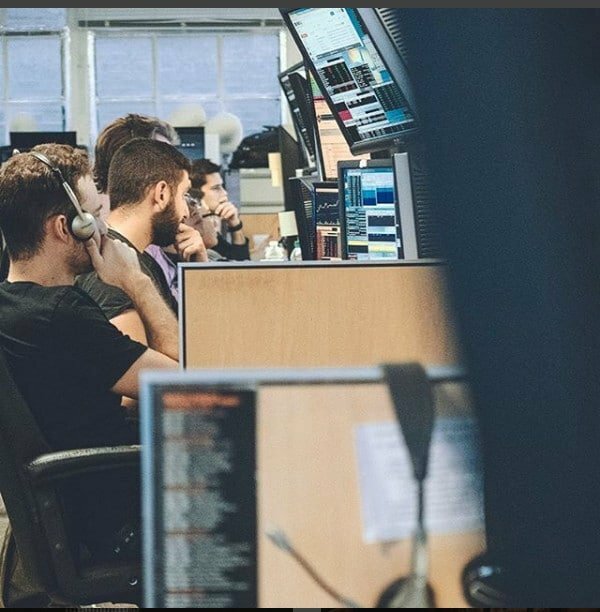 What a person considering becoming a professional trader should consider in my opinion is not just the fact that you have to get adequate training about trading, the occupation of being a professional trader but also you should consider you have to have the right psychological make up for it. It have to be devoted, hard working, interested, passionate, and intelligent. You should also be a courageous person, have guts and fortitude, confidence in your abilities. You must be the kind of person that never gives up even to the point of reinventing yourself if that is what is required. There is nothing worse than observing the market and concluding that it is asleep, nothing going on, nothing worth trading only to discover that you could have made $1,000,000.00 if you had caught the right moment to be in the market. We are in the month of May 2014. I have observed days during the last two week when an average trader could have earned $1,000,000.00/day trading gold and a few currency pairs. Yup its possible. There are traders like George Soros who has been reported to earn as much as or more than $60,000,000.00 in one single day. There is no reason why that can’t be you. Its really something to think about but if you do not think like a champ you’ll probably never be one. You have to want to be one in the first place. If you truly want to become a professional trader you first have to truly want to be one but not only a trader but one of the very best. If you cannot find someone to train you , to teach you how, to guide you then you have to want it bad enough to be the one to discover it. Not read about Albert Einstein but be the Albert Einstein in your life. You find it, you invent it, you discover it before anyone else in the world does and don’t wait. Go for it, stick to it and get it. There is a question about what ROI a good or professional trader achieves for his or her firm or client. Let me start out by saying that I train traders and their average yearly wages, salary or benefit package averages around $100,000.00/yr. I have heard that professional traders on Wall Street earn as much as $1,000,000.00/yr. In your own mind what do you feel your performance level should be in order to justify such a wage, benefit, or salary ? Think back to the late 70’s to mid 80’s when an investor could look forward to doubling their investment fund or account within 5 years. That would be a realized 20% gain on their investment/yr. If you were to earn this ROI for a firm or a client as a proprietary trader you would want to earn a yearly salary, wage or benefit package for yourself on top of earning 20%/yr for your firm or client. As a proprietary trader you are paid based on performance and get a percentage of the earnings. Some firms are more generous than others and some will cap you out at an account level of $250,000.00. Its not as simple as some people might think. A firm trusting you with a $12,000,000.00 account of its own funds maybe looking to realize a consistent 12%/yr gain. At that level you might be offered an 80% or as much as 95% split in your favor. Sounds great, right? 12% of $12,000,000.00 = $1,440,000.00. if your earnings are set at 80% in your favor then the $1,440,000.00 would represent 20% of what you have to realize as a ROI. You may be looking at earning $7,200,000.00/ on your funded account of $12,000,000.00. Congratulations you are now a millionaire, even after taxes. Question is, can you deliver? Performance standards are very high and the tolerance for loss is almost zero tolerance. As a proprietary trader you either win or you win period. Your mentor, monitor, or supervisor will close you out at very low levels of loss. You will not be allowed to trade again until the following day after being scrutinized, lectured to and your training is reviewed. I can only speak for myself. I would require a 35% ROI on my funds period. What ever you earn is up to you but I will not accept anything less than a 35% ROI on my accounts and I also would practice allowing almost a zero % tolerance for loss. You either fully know what you are doing or you don’t. $47,115.25. So $134,615.39 – $47,115.25 = $87,500.14. That would result in a true gain of 35% on my $250,000.00. Lets take $134,615.39 plus your package of $120,000.00 = 254,615.39. The result in this case would be that you would have to realize a gain of 101.85% ROI/YR or roughly double the account in 1 yr. or roughly an 8.5% gain on the entire account on a monthly basis. These are just examples of what you might find out there but you can see that you will have to perform exceptionally in any case, and no matter what the expectations will be of you. Did you think you could be just an average trader? No, it does not work that way, You are a professional trader that means you must be capable of exceptional performance. Keep in mind that you will be expected to perform exceptionally while all the time taking on very little lost or even the potential for loss. I suggest you research this topic more thoroughly and completely, Ask around allot more. I offer here only my opinion and I am a very very very small firm.